innovative intensive farming practices of pearl spot. 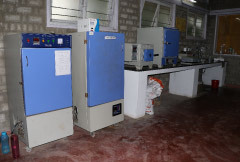 Pulicat Research Field Facility (PRFF), Pulicat an Off campus facility of Tamil Nadu Dr.M.G.R. 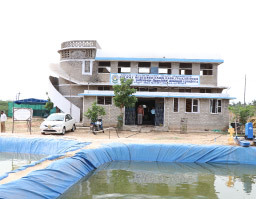 Fisheries College and Research Institute, Ponneri was inaugurated on 2nd January 2015 realizing the importance of Pulicat Lake which is bestowed with enormous potential for brackish water species and in order to cater the needs of fisherfolk and self-help groups in and around Pulicat lake. 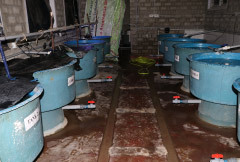 It is spread within an area of 0.75 acres and major research and developmental works are being operated at this centre. Many P.G and Ph.D scholars are doing their research works in the relevant areas from this centre. This centre has many advanced culture system facilities such as RAS and lined ponds for the intensive stocking and rearing of brackish water species. 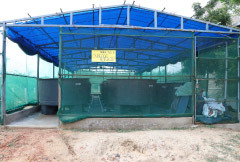 The major thrust areas of this centre are induced breeding of Pearl spot in large scale using lined ponds, RAS and cage based pearl spot culture and Larval rearing of pearl spot in indoor and outdoor hatcheries. Felix, S., Selvaraj, S., Cheryl Antony, Samuel Moses, T.L.S. and Gopalakannan, A. 2017., First report on natural spawning of native Asian cichlid fish, pearl spot (Etroplussuratensis) maintained in FRP tanks in Thiruvallur district, Tamil Nadu, India. International Journal of Fisheries and Aquatic Studies.